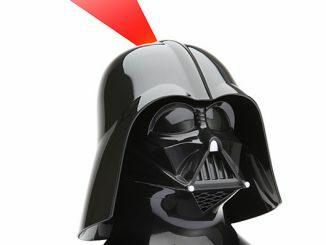 Did you ever think the lyrics to that Sting song ‘Kyrie’ went something like, “Carrying a laser down the road that I must travel. Carrying a laser through the darkness of the nighhht?” Well, although he wasn’t singing about lasers he sure created a cool image of carrying a laser in the dark. 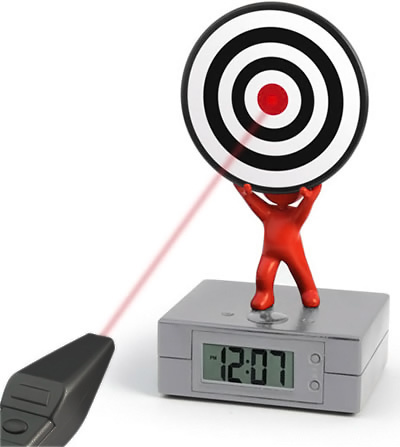 Anyway, let’s dedicate that song to lasers and the Laser Target Alarm Clock. 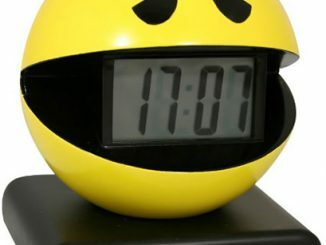 The clock requires you to run and grab your laser to hit the bulls-eye and thus deactivate the alarm, turning you into a modern-day Robin Hood. Once you’re up and running there’s nothing that can stop you, except for an empty pot of coffee. But it’s baby steps we’re talking about. 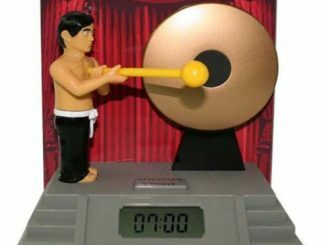 Now you’re ready for the rest of the challenges the day has in store. 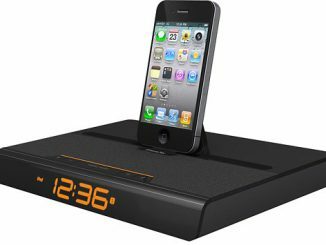 This novel alarm clock runs off only batteries, but the lack of a power cord gives it a cleaner look and makes it all the more portable. 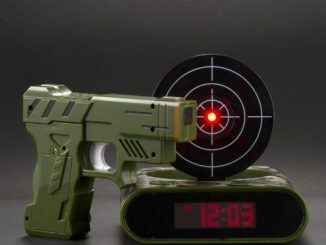 The Laser Target Alarm Clock is priced at $18.99 at Amazon.com. 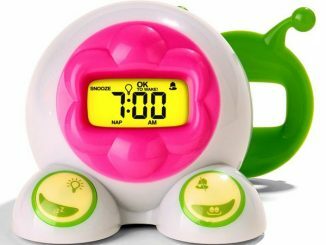 For more interactive alarm clocks, you might want to take a glance at the Clocky Alarm Clock With Wheels, which you have to chase to turn off, or the more subtle Peaceful Progression Alarm Clock, which uses light, nature sounds and aromatherapy to kick off the day. 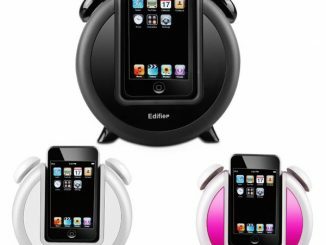 Uh, that would be Mr. Mister, not Sting… 80’s fail! 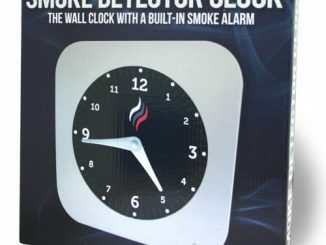 Do you have a tendency to shut the alarm off before you’re even awake? 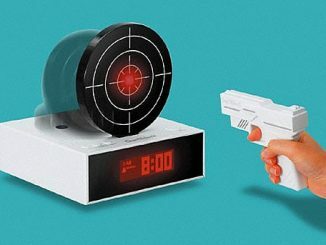 Maybe some accurate target shooting will keep you from falling asleep again. 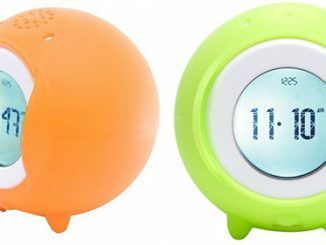 They say time flies but in Clocky’s case, time rolls away. 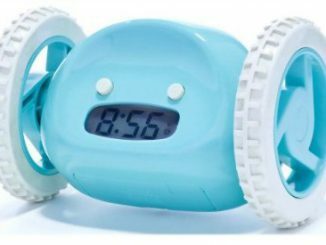 The Clocky Alarm Clock On Wheels by Nanda Home Inc. is made for snoozaholics who oversleep and struggle to get their serotonin levels running at optimum.